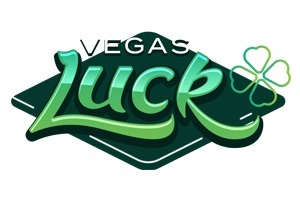 Vegas Luck was founded in late 2018 and is attempting to disrupt the scene with its beautiful website, excellent array of games, and lovely welcome bonus which comes not one single wager requirement. 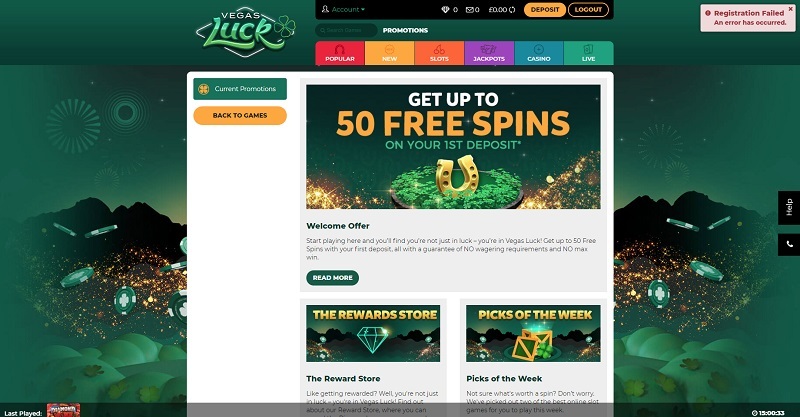 Vegas Luck is licensed by the UK Gambling Commission and the Alderney Gambling Commission, and offers 17-hour customer support via telephone and e-mail. What a lovely, beautiful, magnificent looking site this one is! Just look at that image above, doesn’t it look beautiful?! That green is so gorgeous, and those lovely little category tabs are arguably even more magnificent, complementing the green so well. Then navigationally, it’s just bless. 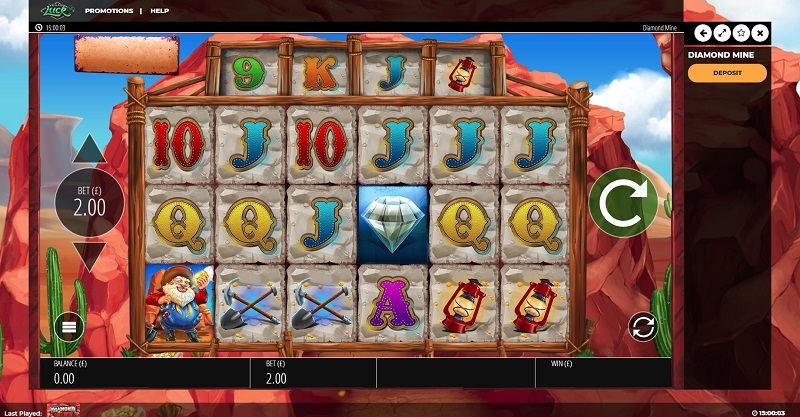 Everything you want to find can be sourced in no time at all, while the game categories are excellent too with the jackpot games offering a lovely little label with the current jackpot total on. Great stuff! 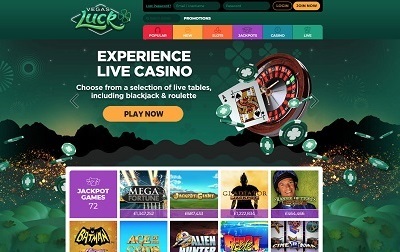 Vegas Luck offer the most popular payment methods out there including Visa, Mastercard, PayPal, paysafecard, and Neteller. The minimum withdrawal and deposit amount is £10. There is no maximum deposit or withdrawal. 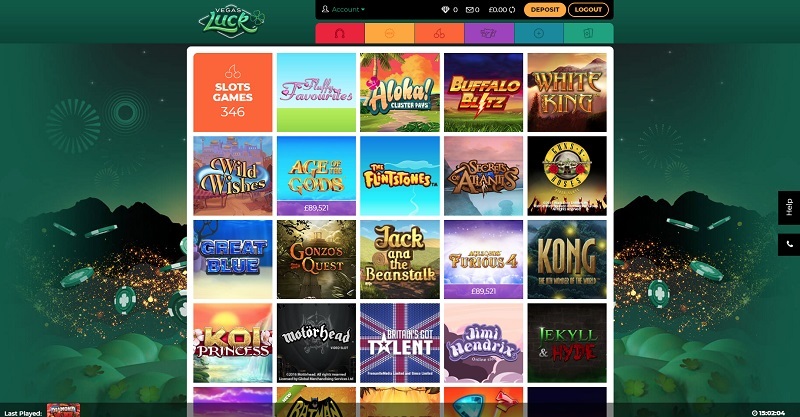 We have over 500 games for you to tuck into on Vegas Luck, and though there are certainly a lot of casinos out there who have more, the quality that Vegas Luck offer is superb with the inclusion of a whole host of classics like Starburst, Gonzo’s Quest and Jimi Hendrix, plus progressive slot titles like Mega Fortune, Age of Gods and Batman Begins to name but a few. 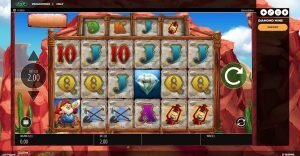 Then on top of that, they offer all the traditional table classics along with live casino tables on blackjack, roulette, baccarat, and poker. Excellent work! 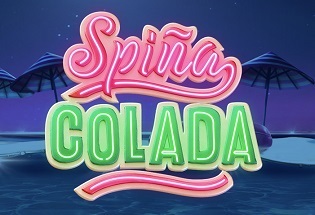 Very big fan of this casino. Very big fan. 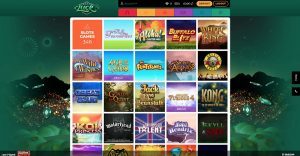 It’s hard not to feel some kind of affinity to an online casino that has a beautiful website, but Vegas Luck offer so much more than that. 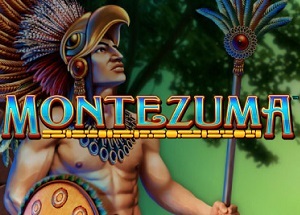 With all the most popular payment methods, an excellent selection of games, a lovely welcome bonus with no wager requirements, plus a 17-hour customer support team, there is nothing that lets this casino down. It’ll be very interesting to watch this casino develop, because it has the potential to become a true behemoth of the scene.